Marooned on the Red Planet after the rest of the crew was forced to evacuate, Mark Watney is sure he’ll be the first person to die on Mars. If he doesn't starve to death, chances are the elements, a mechanical failure, or human error will kill him. But he’s not giving up. Using his skills as a botanist/mechanical engineer, Watney conquers obstacle after obstacle in his quest to survive on the surface of Mars. One of my all-time favorite reads, Andy Weir puts together a science fiction novel that is utterly engrossing. The Martian combines believable science, a compelling plotline, and a liberal dash of gallows humor to create a truly great book. One of my all-time favorite reads, Andy Weir puts together a science-fiction novel that is utterly engrossing. 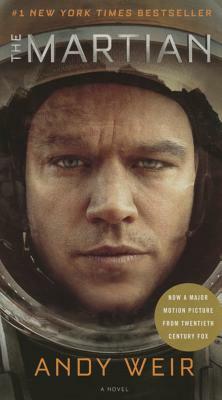 The Martian combines believable science, a compelling plotline, and a liberal dash of gallows humor to create a truly great book.